They are open to tour…that’s interesting if some of the greatest singers in the world would join them in honour of Dolores. Maybe this could work…it would not if it is just to substitute Her. I am sure more will come after the last studio album. Not sure if they do a tour but maybe something like a tribute concert. I think it is only a matter of time. And they got a big back catalouge incl. unreleased video footage. that should be released. The Paris concert DVD needs a re release on Blu-Ray with some extra features. In generel we can thank God (or the Cranberries!) that they made so much TV appearances incl. filmed concerts. Some of that stuff is really profesionall and could be used if the orignal source is avaialbe – example: The 1994 concert in Munich, Germany “Live aus dem Alabama”. Good sound, good camera angles. I would love to have this on DVD in good quality. Open to tour could be cool. Just a one last time either without singer and the audience as a big karaoke or a one time tribute with many famous singers coming on stage. Oh yeah soren youre right they have great footage and the paris bluray should have benn released for years. I also so love the aus alabama show. One of the best. After I mentioned the Paris Show, I played the DVD on my new Blu Ray player and 4K TV Set. The quality is stil amazing for a 19 years old DVD release, so it must be fantastic on Blu Ray. Also the stage rehearsal in the bonis documentary could be interesting with the orig sound (I think it is dubed with the studo versions). Concerning the Alabama show, I will try to contact the TV channel that recorded it. I don´t think they will ever search for a replacemt. They know that this would be impossible. I don’t see how they could replace Dolores. 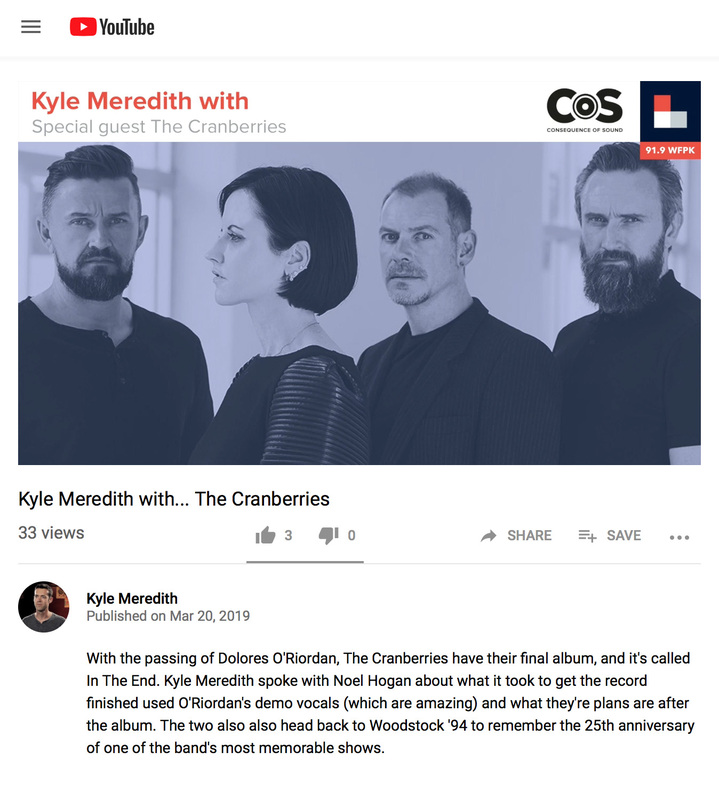 The Cranberries music is a tour through her life, or what she cared to share of it. Maybe if one of her children took up singing?